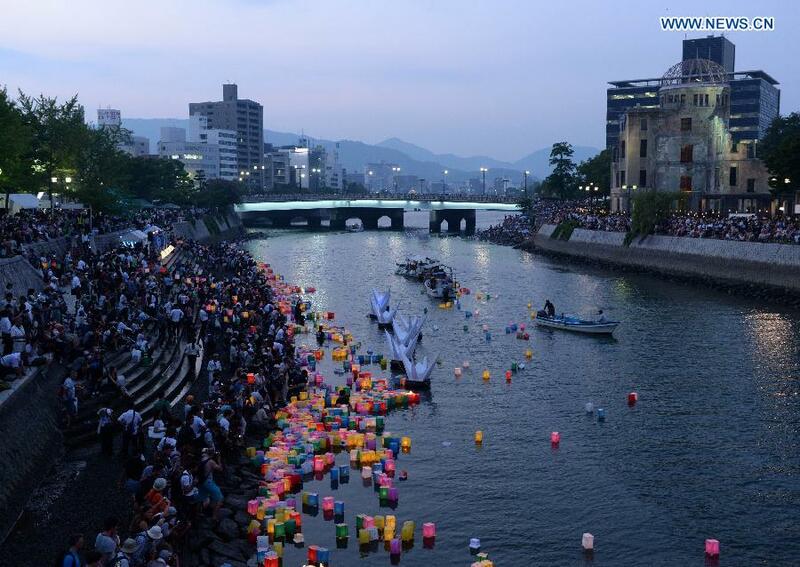 Paper lanterns are seen floating on the Motoyasu river near the Atomic Bomb Dome after being released to grieve over atomic bomb victims of Hiroshima, western Japan last Thursday Aug. 6, 2015. 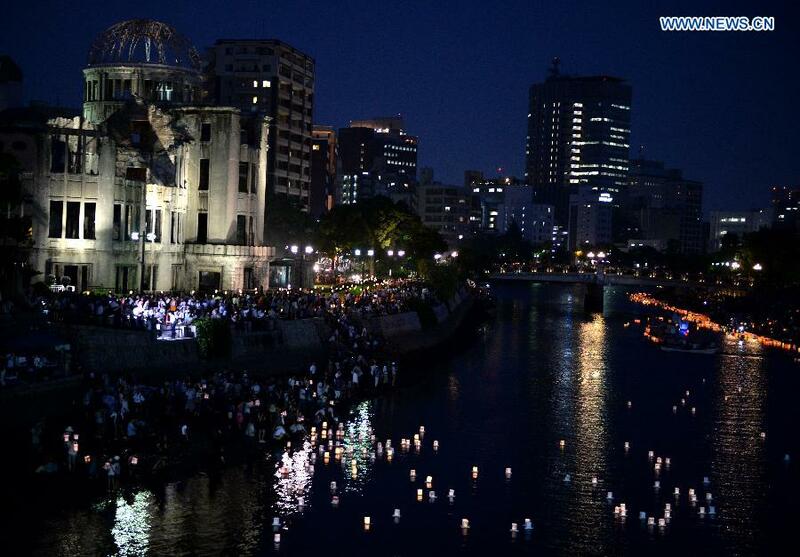 Candles are lighted near the Atomic Bomb Dome to grieve over atomic bomb victims of Hiroshima, western Japan, Aug. 6, 2015. 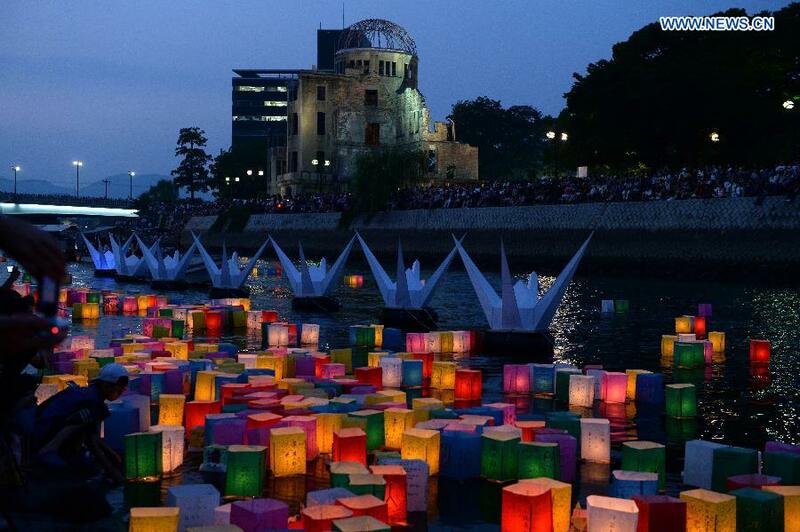 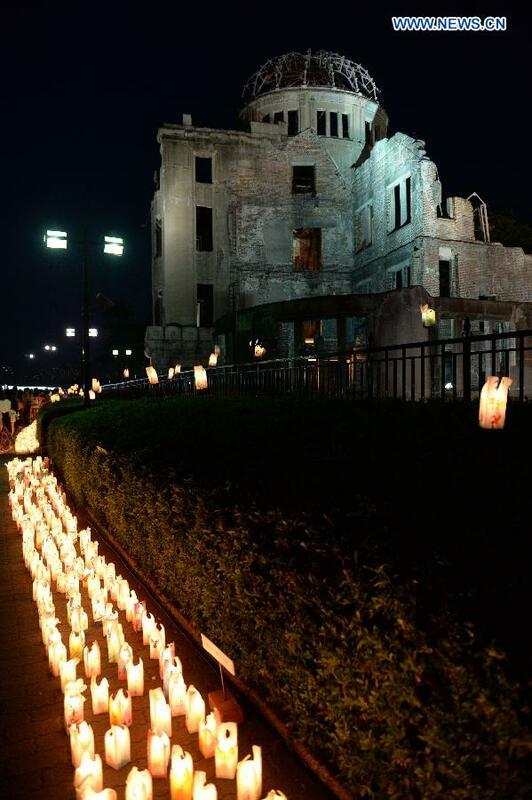 Hiroshima, the city that suffered U.S. atomic bombing in 1945 during the World War Two, commemorated the 70th anniversary of the bombing on Thursday at the city's Peace Memorial Park, with its mayor calling for peace and elimination of nuclear weapons.